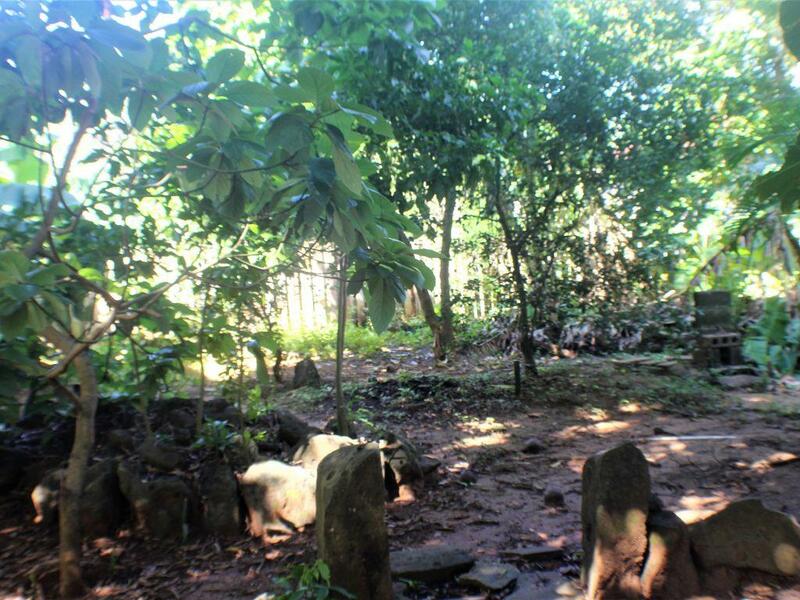 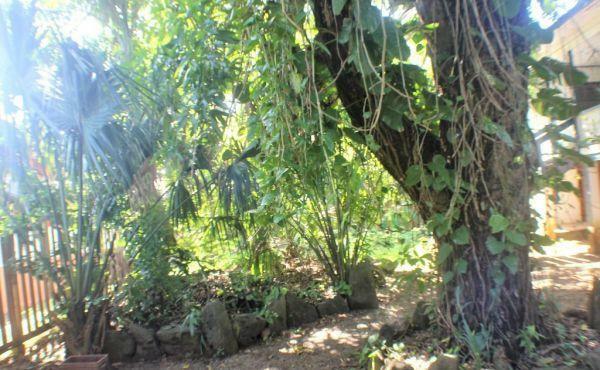 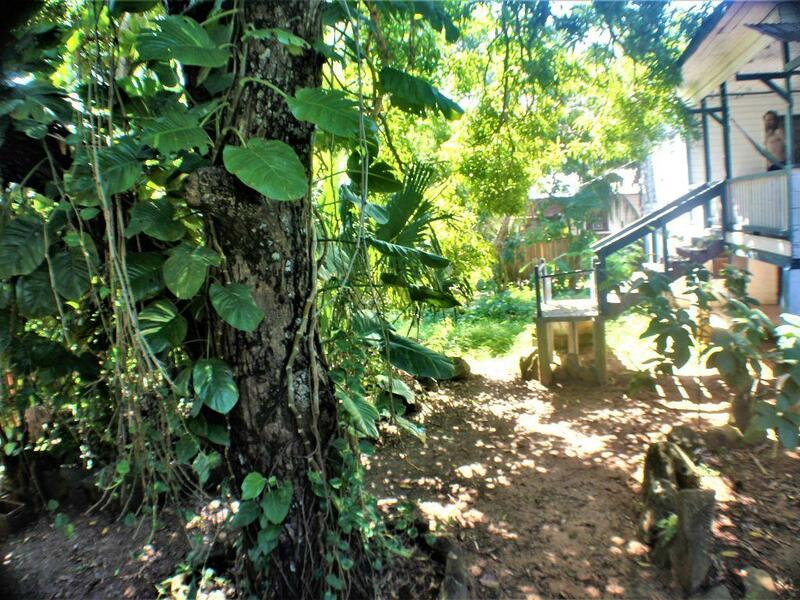 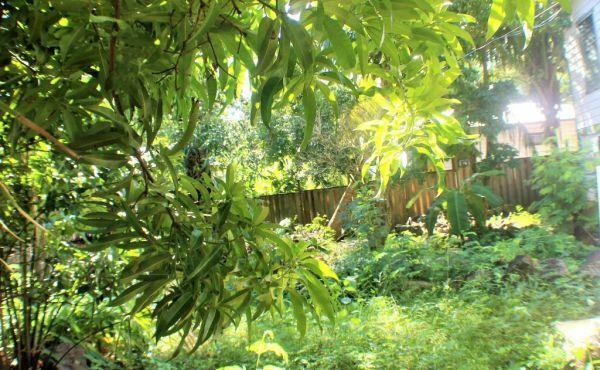 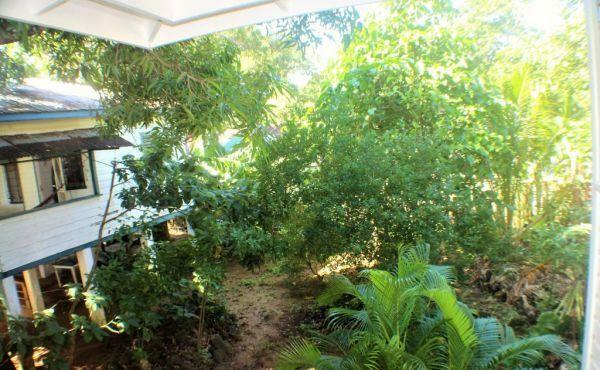 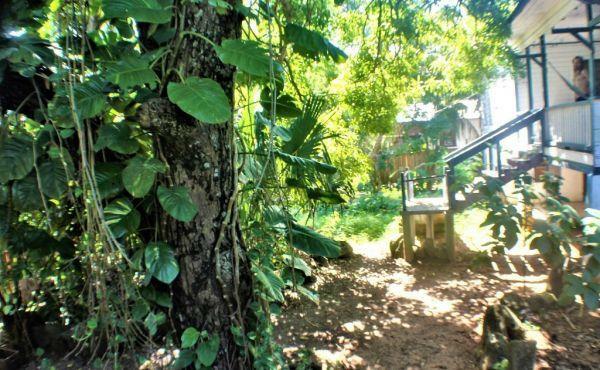 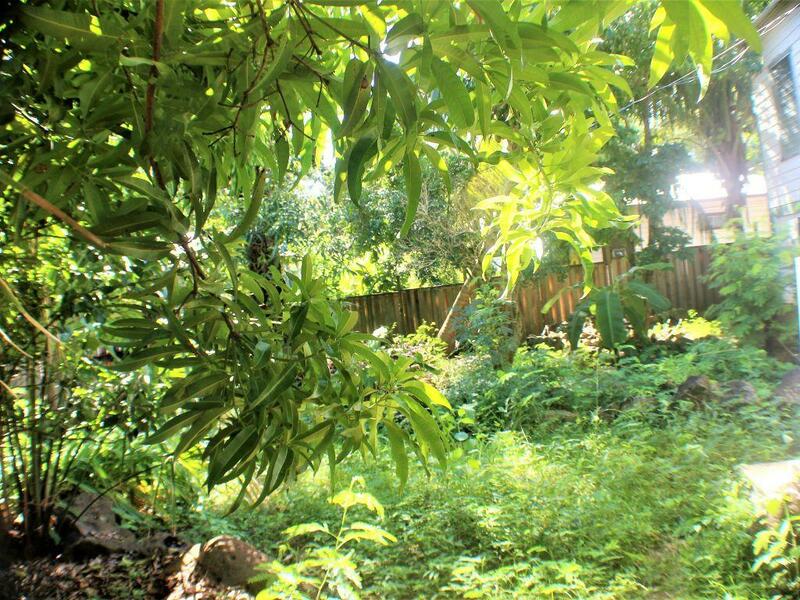 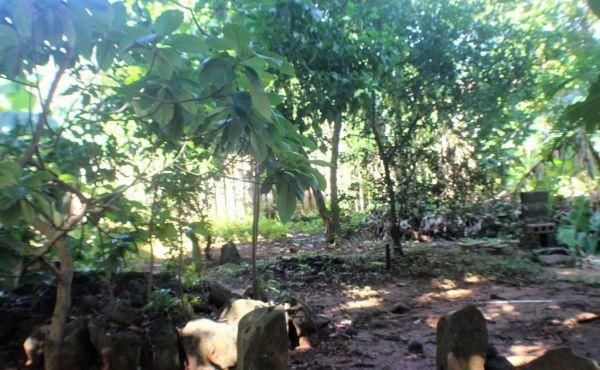 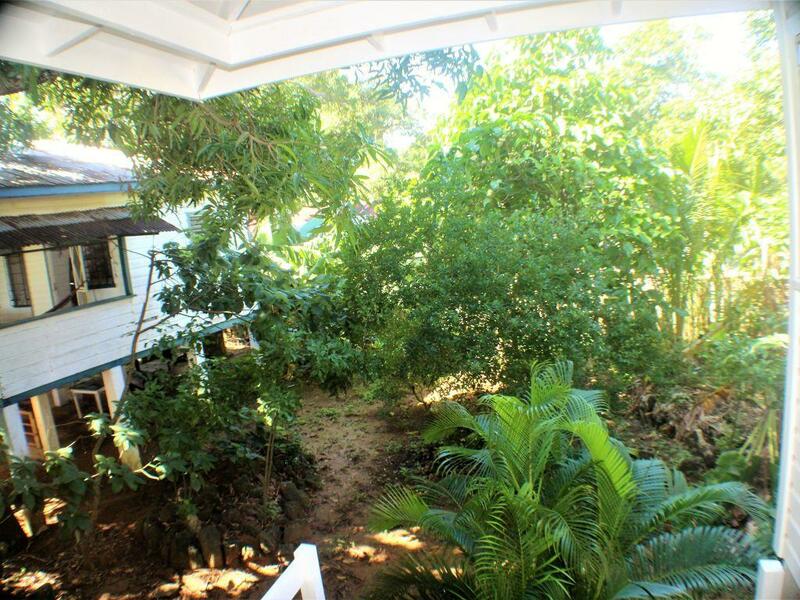 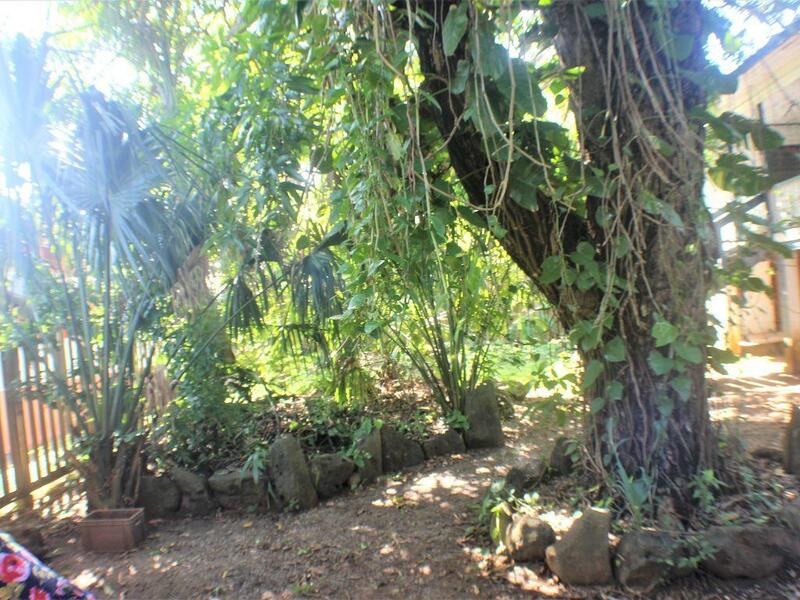 The lot is 0.165 acres and includes an 800 square foot house surrounded by lush plantings including palm, banana, noni and mango trees. 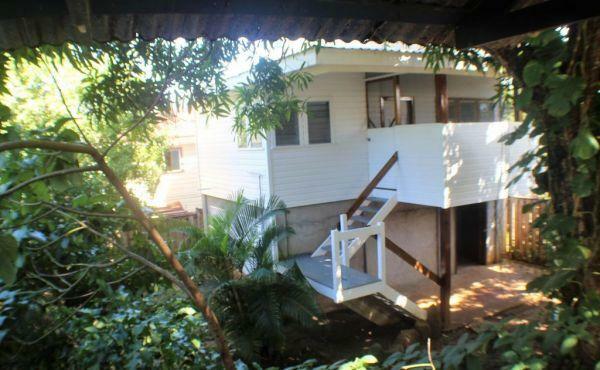 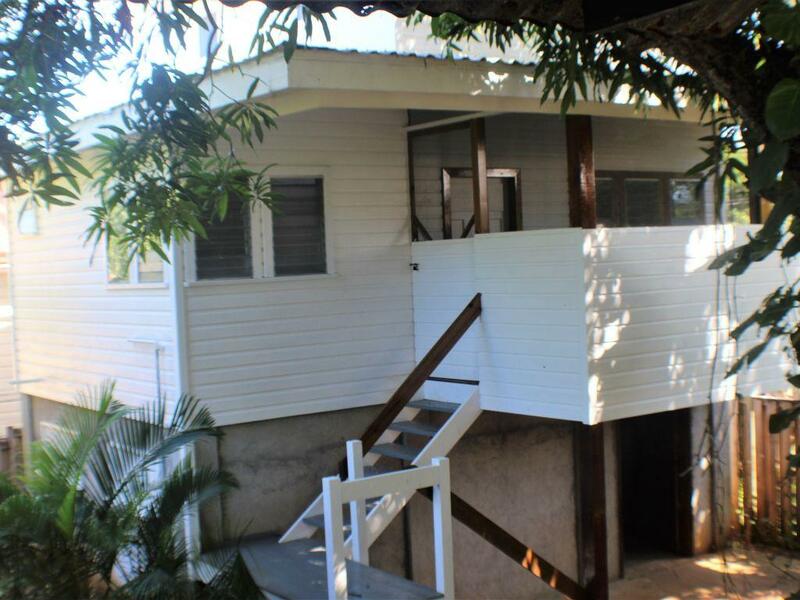 The home has one bedroom and one bathroom set one story above the ground to maximize breezes and views. 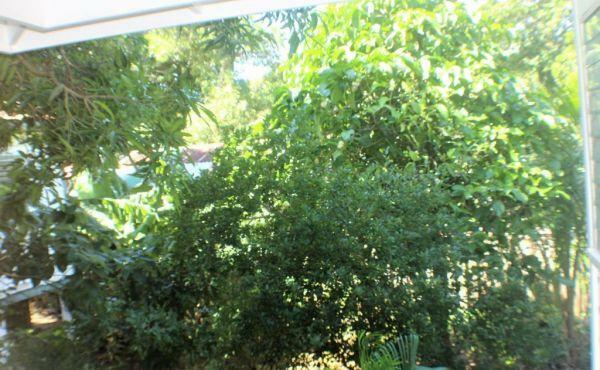 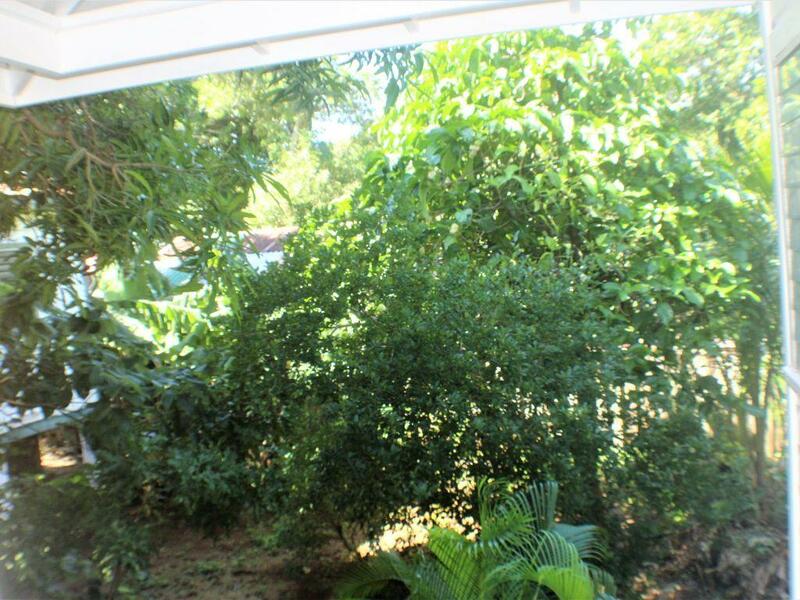 The fenced lot is on fertile, shady, ground and presents the opportunity for a plentiful garden. 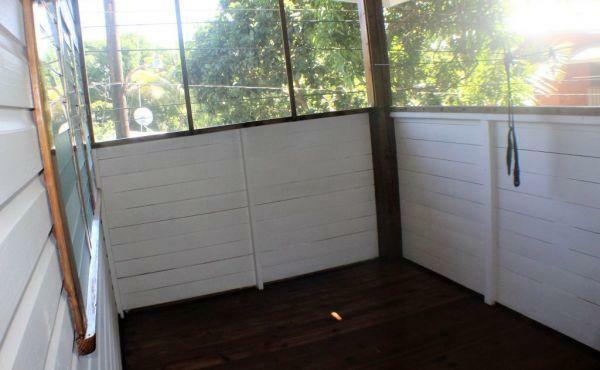 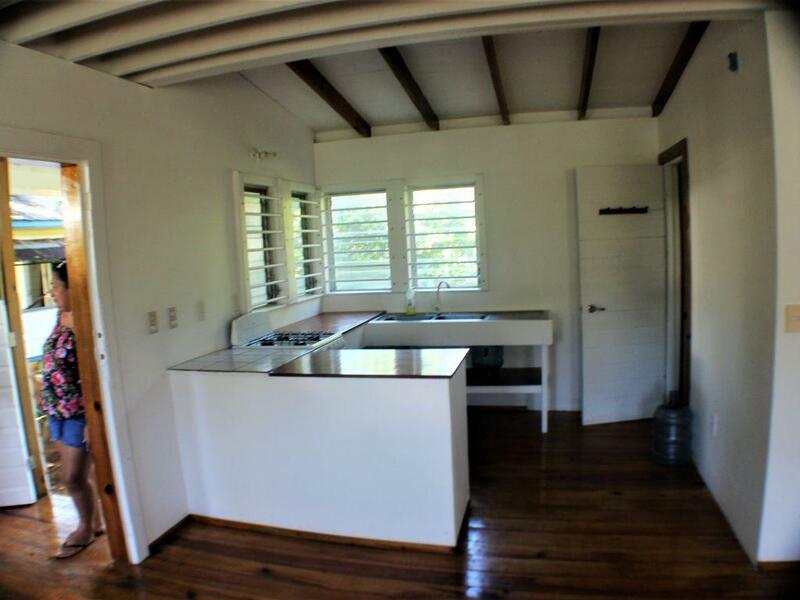 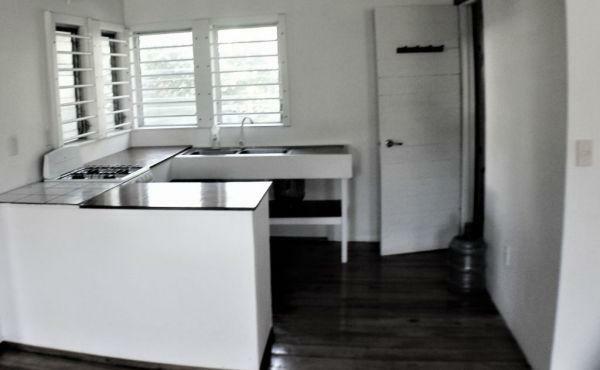 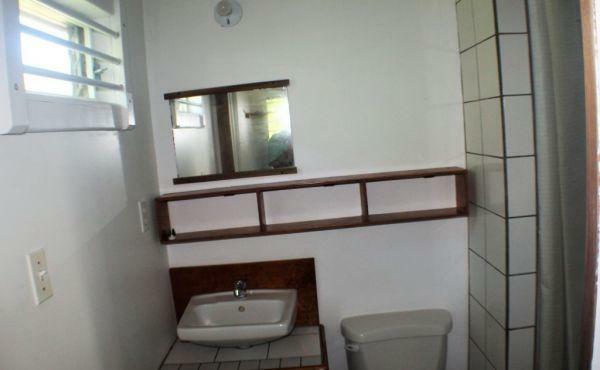 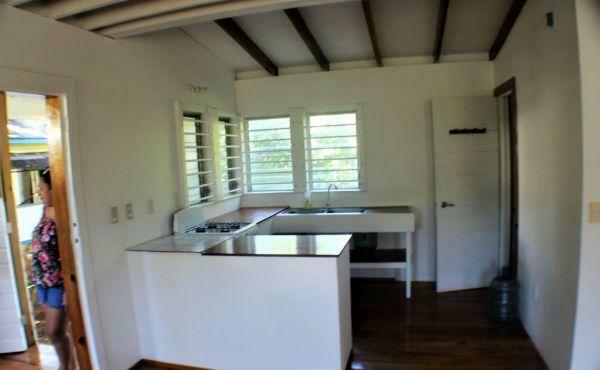 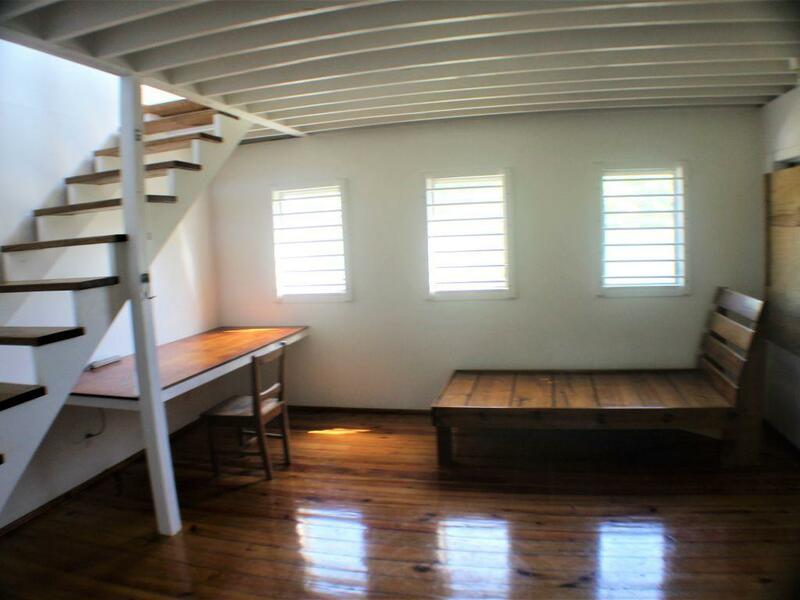 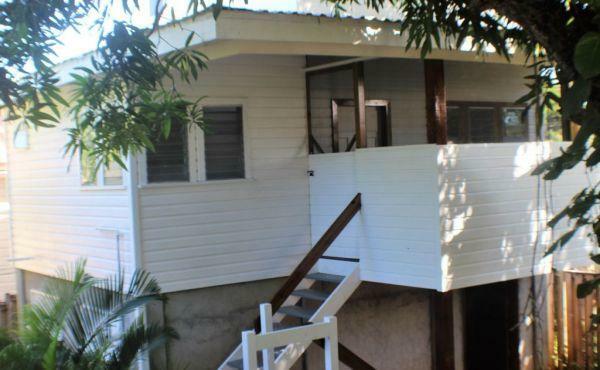 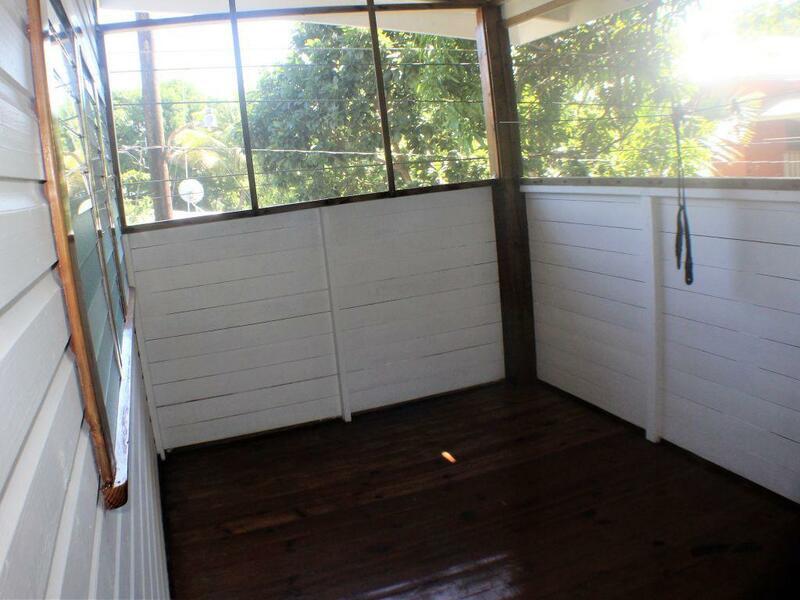 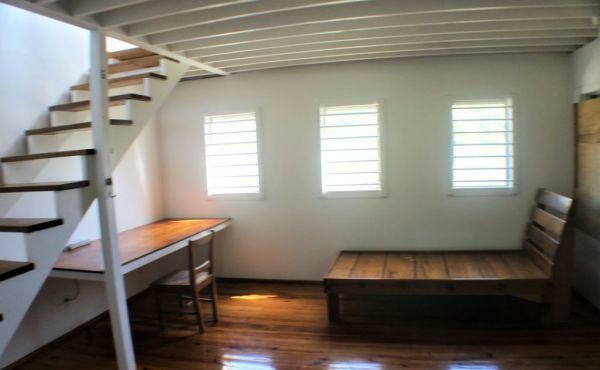 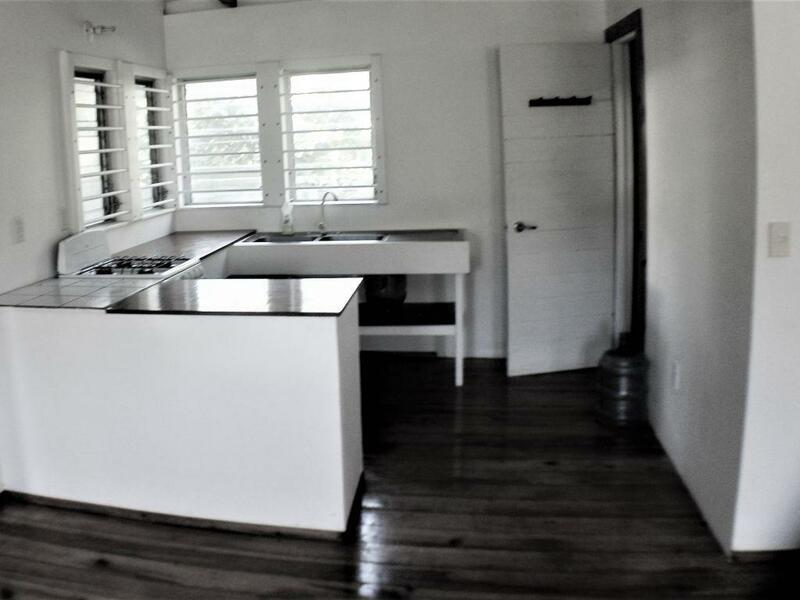 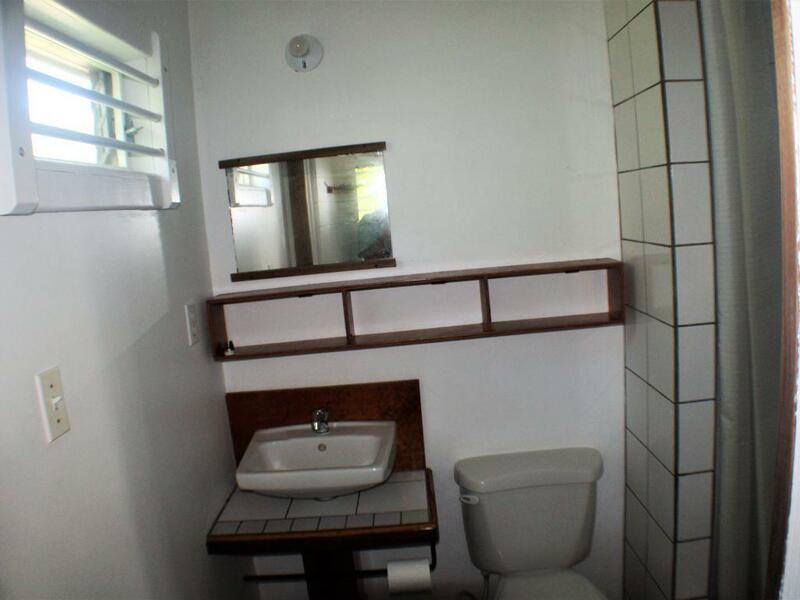 The freshly painted home includes a screened entry-sitting area and the first floor contains the kitchen/dining and second sitting area plus a bath with tiled shower. 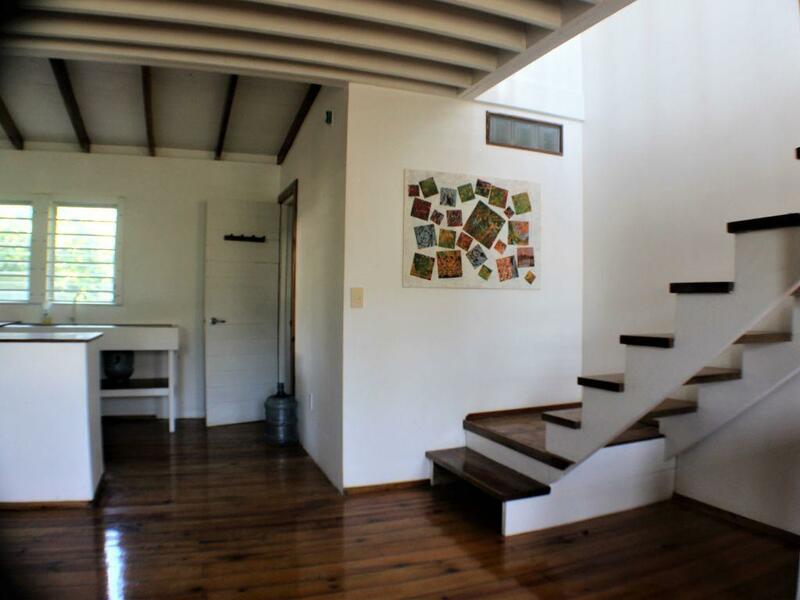 An open stairway leads to the second-floor loft bedroom. 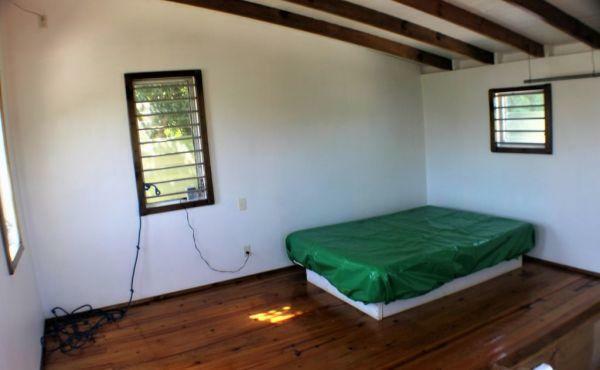 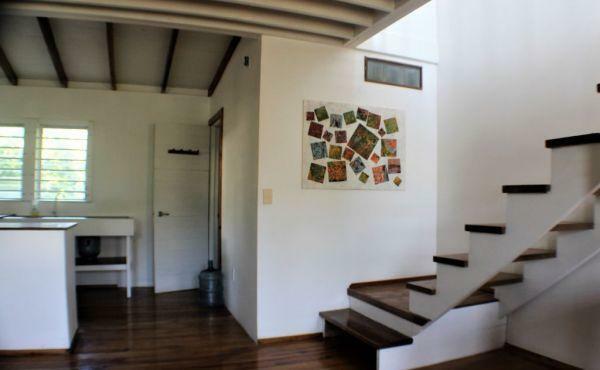 Beneath the home is a concrete area with a high ceiling for additional living space as well as a large storage bodega. 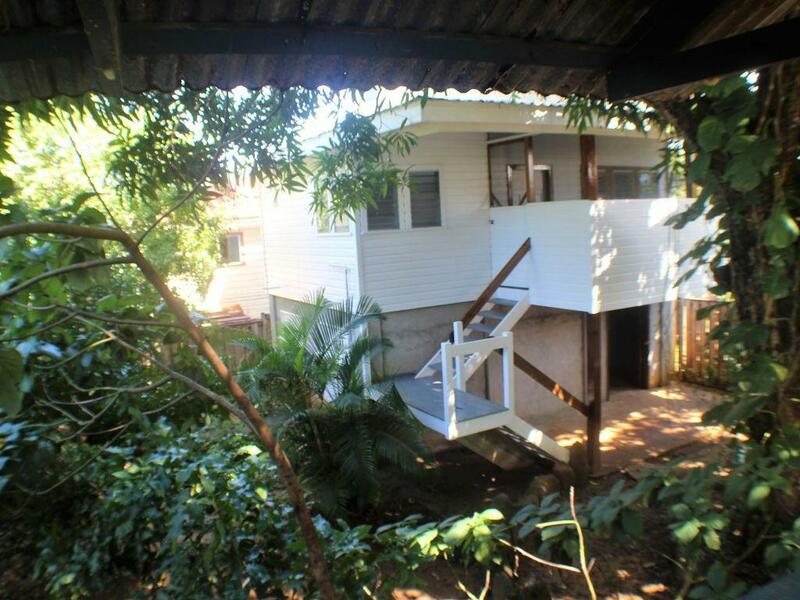 Property is on city water and the two storage tanks are in the bodega. 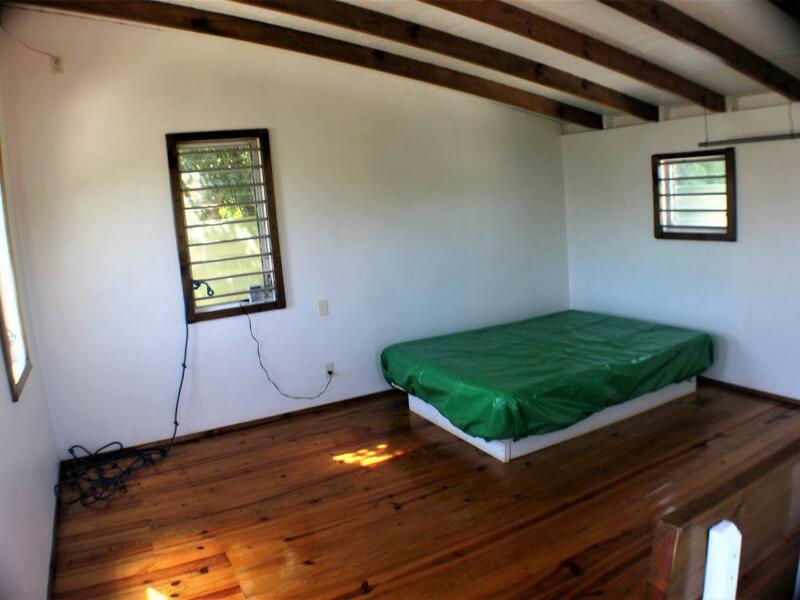 There is also an older home on the property that may be salvageable for inexpensive housing, work space, or storage.